Time To Break Out The Bats and Balls! The Mariners already set up camp over the weekend. This week, everyone else joins them, with their tent stakes, sleeping bags and World Series dreams in tow. 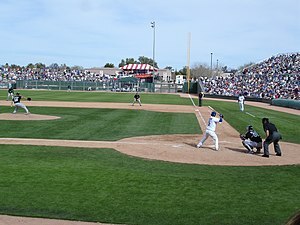 On the sun-dappled diamonds of Arizona and Florida, Spring Training has arrived, with pitchers and catchers on their way to fill the complexes of the Cactus and Grapefruit Leagues for the next six weeks prior to every baseball fan’s favorite two-word event: Opening Day. For Seattle, this week’s jump on things was a necessity. The team will travel to Japan on March 22 for the regular-season Opening Series against the Oakland A’s on March 28-29, and with almost another week in between those games and their first regular-season game back in the U.S., it will give them the chance to start their ace, Felix Hernandez, in the first game on both continents, which means Games 1 and 3 of the 2012 campaign. As for the rest of the teams in the Major Leagues, the road to a championship starts this week, and there are plenty of questions to answer. One of the big ones is whether last year’s World Series winners, the St. Louis Cardinals, can forge a new, victorious identity without their best player — Albert Pujols, who signed with the Angels in early December — and legendary manager, Tony La Russa. The Redbirds will, however, see their staff ace, Adam Wainwright, return when pitchers and catchers report to Jupiter, Fla., on Saturday. Wainwright spent last year on the shelf thanks to Tommy John surgery. They’ll also have to see how they jell under the watch of new manager and former player Mike Matheny. 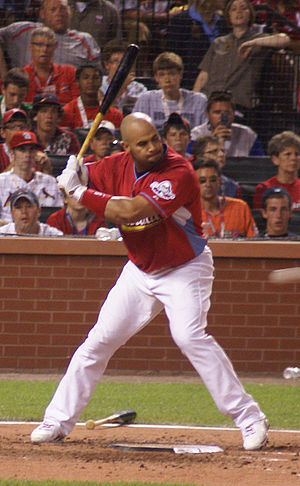 Plus, veteran outfielder Carlos Beltran, fresh off a rejuvenated 2011 season, joins the effort to replace Pujols’ bat in what became a very potent lineup by last October. The runners-up in last year’s big dance, the Texas Rangers, face a similar spring of change. Gone is C.J. Wilson, who, like Pujols, jumped ship to the loaded-on-paper Angels. Now with the club is Japanese right-hander Yu Darvish, a gamble for Texas of well over $100 million. When the Rangers’ pitchers and catchers show up in Surprise, Ariz., on Feb. 22, they’ll do so with Darvish and another new starter, who happens to be their former closer — Neftali Feliz. They’ll also have veteran Joe Nathan to pitch the ninth inning. About an hour from Surprise, the Angels will carry that glittering new roster and some weighty expectations into their digs at Tempe Diablo Stadium. 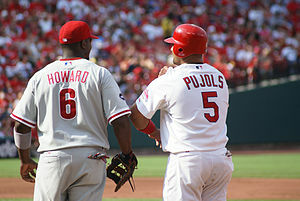 Pujols, Wilson, LaTroy Hawkins, Chris Iannetta and a core of younger players, including top prospect Mike Trout, plus an on-the-mend Kendrys Morales, will take the first steps, along with new general manager Jerry Dipoto, toward re-annexing the American League West for the first time 2009. Their pitchers and catchers will first filter in Sunday. Meanwhile, across the country, the annual high-intensity battle for the AL East will begin in earnest, with the Red Sox and Yankees doing their best to forget about how their 2011 seasons ended. The Red Sox will file into their new complex in Fort Myers, Fla., on Sunday with a new manager (Bobby Valentine), a new general manager (Ben Cherington) and new players (Andrew Bailey, Mark Melancon, Cody Ross and others). The Yankees, meanwhile, will check into Tampa on Sunday with a beefed-up pitching staff, having added Hiroki Kuroda via free agency and Michael Pineda via trade. The Tampa Bay Rays — playoff participants in each of the past two seasons and three of the past four — have seen some turnover, too. They’ll hit their spring camp Feb. 20 with Carlos Pena, Luke Scott and Jose Molina in the fold, and they’ll see what their top pitching prospect, Matt Moore, can do after stunning the world with his Game 1 gem in last year’s AL Division Series. The Detroit Tigers won’t be far away, either. Reigning AL Most Valuable Player and Cy Young Award winner Justin Verlander will headline the defending AL Central champion Tigers’ pitchers and catchers, who will arrive in Lakeland, Fla., on Sunday, and the Tigers’ new $200 million man, Prince Fielder, will check in soon after to buoy an already-imposing lineup featuring Miguel Cabrera, who has slimmed down and will take on the challenge of switching back to third base. In Clearwater, the Phillies will be back at it, boasting their fantastic rotation of Roy Halladay, Cliff Lee and Cole Hamels (plus Joe Blanton and Vance Worley) and their veteran lineup. They’ll be hoping for a quick recovery for first baseman Ryan Howard and a return to a full season of health for second baseman Chase Utley, and they’ll be hoping that an influx of new veterans — Ty Wigginton, Jim Thome and Laynce Nix on the offensive end, Chad Qualls in the bullpen — will make the puzzle pieces fit alongside the club’s huge offseason prize, closer Jonathan Papelbon. The Phillies, however, have an intriguing competitor right in their own division. The Miami Marlins have a new name, sort of, plus a new ballpark, new uniforms, and a new attitude, proven by their stunning winter haul of shortstop Jose Reyes, starter Mark Buehrle and closer Heath Bell to the tune of almost $200 million. They also traded for starter Carlos Zambrano, will be counting on a healthy season for ace Josh Johnson, and will hope that Hanley Ramirez’s transition to third base not only goes smoothly but results in a better season for their star infielder. It all begins Feb. 22 in Jupiter for the Marlins and their new skipper, Ozzie Guillen. Out West, the D-backs will settle into their second spring at Salt River Fields (pitchers and catchers show up on Feb. 20) with an unexpected NL West crown under their belts and what they hope will be improvements in the form of starter Trevor Cahill, slugger Jason Kubel, and a full season of first baseman Paul Goldschmidt. The Giants, winners of the World Series in 2010 and victims of injuries last year, hit Scottsdale Stadium on Saturday with the comforting knowledge that catcher Buster Posey should be ready to go soon, along with closer Brian Wilson, and that new additions in the outfield (Melky Cabrera and Angel Pagan) provide offensive spark to a lineup that needs plenty of it. Other stories waiting to be written abound. Which teams that came this close last year have the goods to turn it around this spring? Will it be the Atlanta Braves, who need better health and production from the youthful trio of Jason Heyward, Jair Jurrjens and Tommy Hanson? The Brewers, who lost Fielder but gained Aramis Ramirez? Or will it be the Dodgers, who added veteran tweaks (including Aaron Harang, Chris Capuano, Mark Ellis, Jerry Hairston and Adam Kennedy) to a roster that played impressive baseball in the final month of 2011? And which teams will the real shockers of the season, possibly poised for greatness on the back fields and in the hitting cages of the quiet spring mornings to come? Will it be the Kansas City Royals, with Eric Hosmer leading a corps of young, exciting players? Will it be the Washington Nationals, who boast a pitching rotation led by phenom Stephen Strasburg and new acquisition Gio Gonzalez and also have Jayson Werth, Michael Morse and Ryan Zimmerman in their lineup? And how about the Cleveland Indians, who got off to such a hot start last year, fell victim to a lack of depth, but worked all winter — adding Casey Kotchman and Derek Lowe to a large group of newcomers — to shore up their deficiencies? And what about the guys who haven’t signed yet or might be traded in the days to come? The names Roy Oswalt, Yoenis Cespedes, Johnny Damon, Vladimir Guerrero, Magglio Ordonez, Kosuke Fukudome, Jon Garland, Mike Gonzalez, Michael Wuertz, Raul Ibanez, Hideki Matsui, Derrek Lee, Miguel Tejada, Jason Varitek, Javier Vazquez, and, yes, Manny Ramirez are still out there, waiting to figure out where they’ll spend the spring … or at least part of it. And they’re not the only ones still on the board. But as the week kicks off and the Mariners pitchers run through their fielding drills and pop gloves in early bullpen sessions in Peoria, it’s clear that baseball has arrived once again. The answers to all these questions should, too. Doug Miller is a reporter for MLB.com. Follow him on Twitter @DougMillerMLB and read his MLBlog,Youneverknow. This story was not subject to the approval of Major League Baseball or its clubs. With 2011 now behind us, it’s time to look forward to the 2012 MLB season. Some teams have been busy this winter, but others have been rather quiet. Here is a list of what teams in the NL East need in order to contend in 2012.
and Bryce Harper, you’d be a contender too. 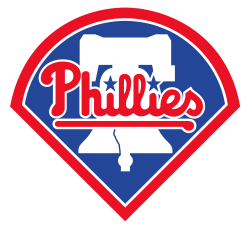 Philadelphia Phillies – The Phillies had the best record in all of baseball during 2011 as they went 102-60 before getting knocked out by the eventual World Series Champion St. Louis Cardinals in the first round of the playoffs. Whatever you do, don’t blame their pitching for their early exit. Philadelphia posted a league best 3.02 team ERA, which is beyond ridiculous. Their pitching was decent enough to beat St. Louis, but their offense couldn’t come up with the clutch hits. The team hit .226 in the playoffs where players like Ryan Howard (.105 playoff average), Placido Polanco (.105), and normally clutch Carlos Ruiz (.059) came up short in October. Philadelphia did pick up closer Jonathan Papelbon, but I’m not sure how good of a move that was. If they can get a good outfield bat and figure out how to manufacture runs, they should be back in the World Series. Atlanta Braves – The Braves had a historic late season collapse and missed the playoffs on the last day of the season. Overall though, they had a good season and have a very promising future. The main question for Atlanta, as it has been in the past, well forever, is will they get that big bat for the middle of the lineup. Freddie Freeman had a great rookie year, Dan Uggla had a killer second half, and Brian McCann had a good year while Tim Hudson held down the starting rotation (and still remains to be one of the most underrated players in the game), but they still need another bat to produce offense. Washington Nationals – The Nationals had a good season as they finished in third with a respectable 80-81 record. I fully expect Washington to contend for the wildcard in 2012 thanks to their pitching. After acquiring Gio Gonzalez from the Oakland Athletics, they have a formidable rotation with a healthy Stephen Strasburg, John Lannan, and Jordan Zimmermann. Their bullpen is set with Tyler Clippard and Drew Storen on the back end. With a healthy Ryan Zimmerman and Adam LaRoche, they should put up runs, and aren’t you interested to see how Bryce Harper will do this year? New York Mets – Surprisingly they will actually field a team this year. Unfortunately for them, David Wright can’t play all nine positions. If this team even sniffs .500, I will be majorly surprised. Jason Bay has been a joke since coming over as a free agent and it would be a treat for New York if he can even earn half of his salary. Miami Marlins – What an offseason for the Marlins. New name, new stadium, new uniforms, new manager, new starting pitcher, new shortstop, and new closer. Did I miss anything? Oh yea, they are still the Marlins. If Jose Reyes AND Hanley Ramirez can stay healthy, this team can be scary, but I wouldn’t bet the farm on that. Mike Stanton is a monster at the plate. As for their rotation, they will need Josh Johnson to stay off the DL, but besides him and Buehrle, no one scares me on their staff. 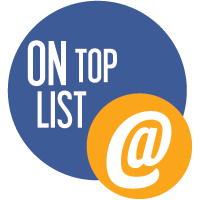 Currently, I cover the Orioles for the Baltimore Guide along with being addicted to the entire Major Leagues as well as the NFL. Follow me on Twitter here, or on Facebook here.